IDE is nothing but a software which provides comprehensive tools and features to ease the work of the developer. IDE stands for Integrated Development Environment which offers an advanced source code editor, debugging tools and other automation features to make coding a breeze for developers. The source code editor generally provides us with some features like syntax highlighting, line numbering, bracket highlighting, etc. The automation tools helps the programmer in writing codes much faster with various autocomplete and prediction features. 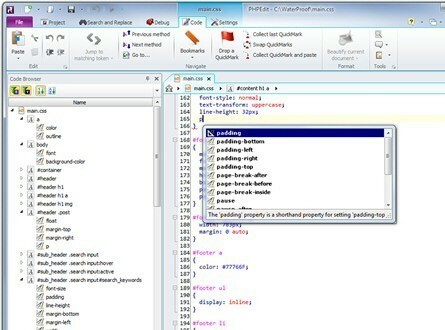 The debugging tools can help you a lot by highlighting the errors as you write the codes. So, if you want get more productive and write better codes with a very fewer mistakes, then you need to get your hands on a good and capable PHP IDE to help you throughout the entire process of PHP development. In this article, we have put forward almost all capable PHP IDE’s currently available that you can make use of. 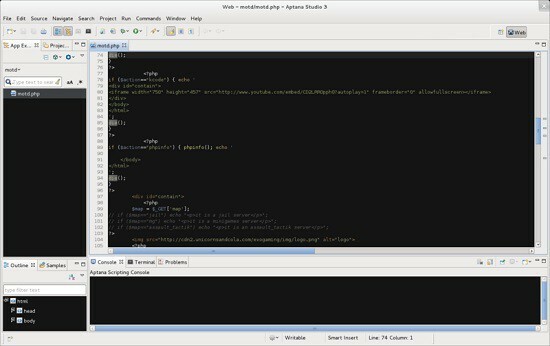 Aptana Studio is an open source IDE which is mainly used to develop AJAX based web applications and with additional plugins can be used to develop full-fledged PHP applications too. Yet another powerful IDE which can simplify and enhance your PHP development process with lots of essential features packed into it and is highly customizable with additional plugins available with it. 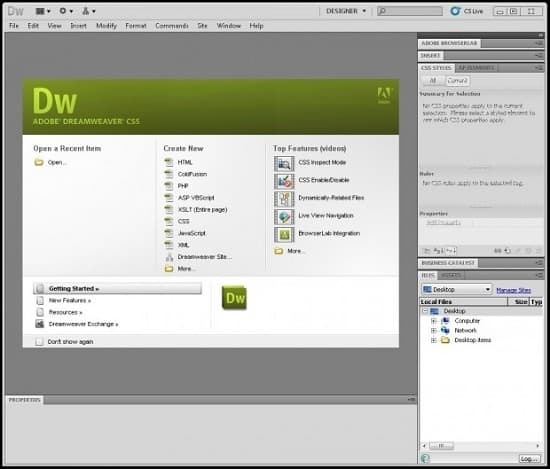 Dreamweaver IDE comes from Adobe, the makers of top-notch photo editing and web design softwares, which mainly focuses on people who are still learning to code. And its price is too expensive considering the other equally capable (if not better) IDE’s available for free. 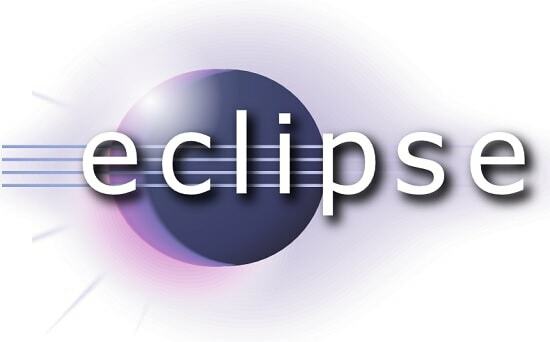 Eclipse is undoubtedly one of the most popular, powerful and useful IDE which is mostly used to write Java applications, but with various available plugins, this IDE can be effectively used to develop PHP applications too. Komodo is a very professional and cleanly-designed IDE with a very powerful HTTP Inspector, Graphical Debugger, Regular Expression Toolkit and much more. You can also customize it the way you want anytime. 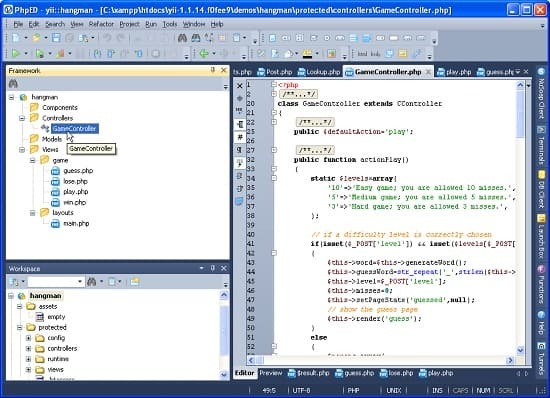 It’s another popular IDE (like Eclipse) which is mainly used to develop Java applications, but can also be used to develop and debug PHP and HTML5 applications and has got all essential features you need for it. 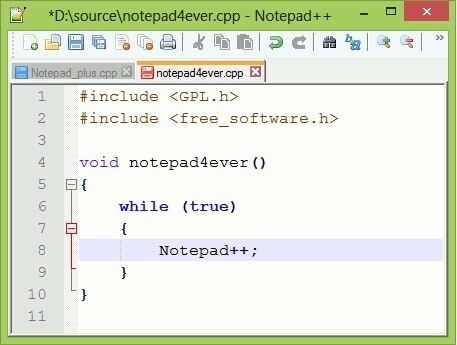 Notepad++ is a free source code editor which supports a lot of features like syntax highlighting, code folding, auto-complete, etc. for over 50 programming, scripting and markup languages including PHP. 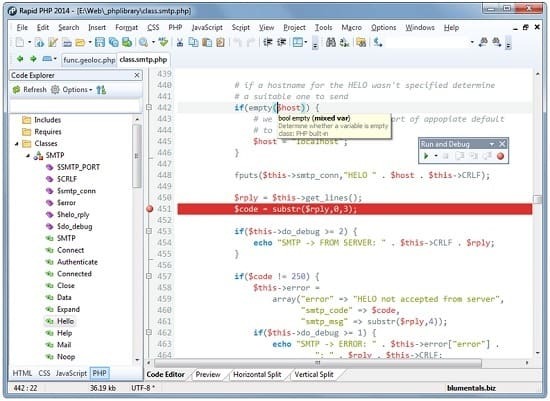 PhpED is an amazing PHP editor with support for some really advanced features like PHP Profiler, PHP Debugger, Advanced PHP Editor, Integrated Help System, Code Insight, etc. 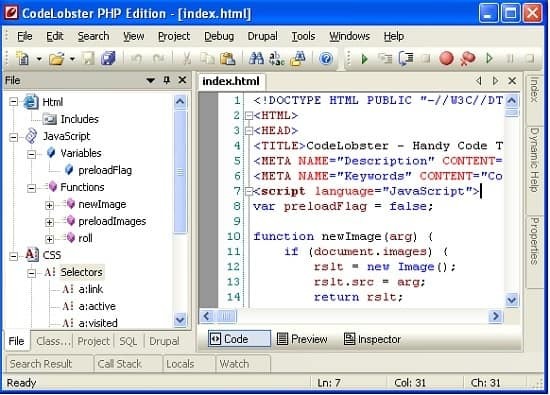 PHP Edit is one of the most popular, powerful and trust-worthy IDE in the market since 1999, which can be used to develop dynamic websites with ease and enhance the coding workflow seamlessly. 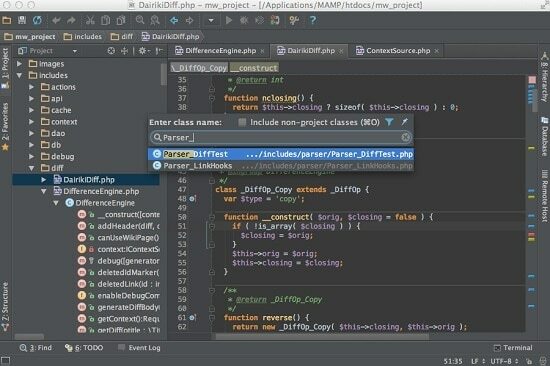 If you want a powerful PHP IDE with full FTP/SFTP synchronization, PHP 5.5 support, improved code highlighting, integration with CVS, Mercurial, Git and much more, then this the one you need. 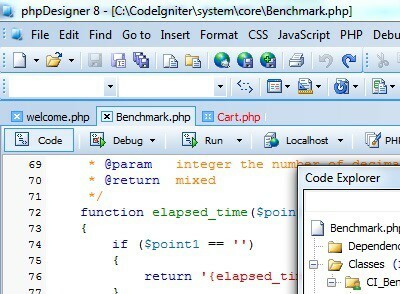 Rapid PHP is one of the fastest yet powerful IDE for Windows combining all the essential features you need but keeping the speed of a simple application like Notepad. 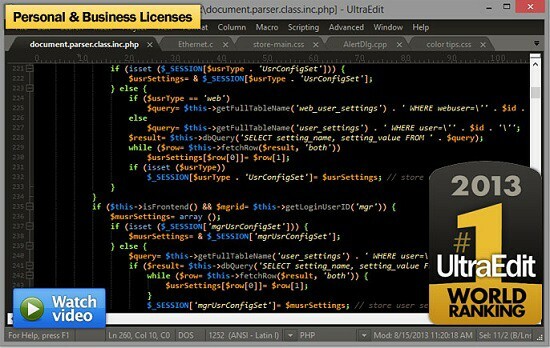 Another simple yet powerful IDE with almost everything you need for full-fledged PHP application development. 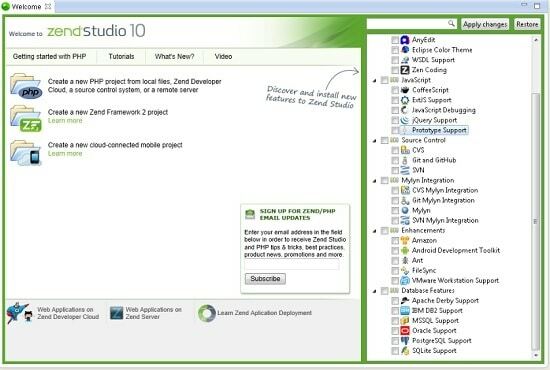 Zend Studio is a very powerful IDE for the professional PHP developers to write and maintain code faster, work with a team and maintain codes in the cloud too. This entry was posted in PHP and tagged IDE, php, PHP Development, PHP IDE on December 23, 2013 by Aritra Roy.